Located in the 27604 area of Raleigh, NC, USA Automotive is a full service auto repair center and home our famous 3 year / 36,000 mile warranty. 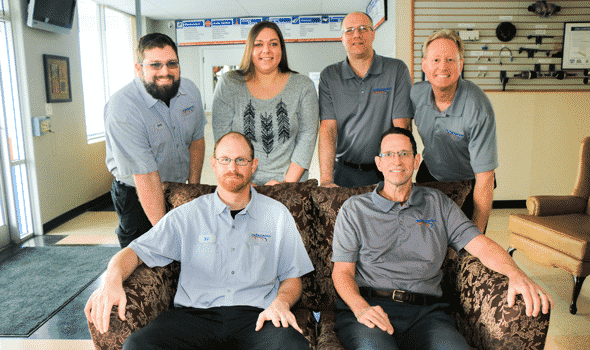 Our environmentally friendly service, the latest computerized equipment, and our ASE certified technicians provide the most reliable solutions to keep your vehicle running in tip top shape. Our complete auto repair facility services import and domestic cars, performing auto repair and maintenance services ranging from brake repair to oil changes, diagnostic work, exhaust repair, and North Carolina state inspections. You can tell that we really value the relationship that we have with our customers. The cozy USA Automotive waiting room is always full of smiles and friendly people. In fact, we feel like everyone in the Raleigh area is a friend and we value the opportunity we have to give back to the community. 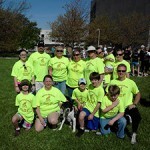 USA Automotive sponsors the local little league baseball and softball teams, and we also volunteer with special programs in our area, such as the annual Triangle ALS Walk and the Special Olympics. We’re proud of our shop and we’d like to take you on a tour of our facilities where we take good care of your automobile. Stop by our shop today! 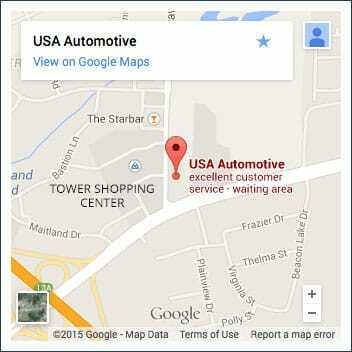 As the owner of USA Automotive, Keith has been in the Raleigh area most of his life. Before graduating from Enloe High School, where he studied auto mechanic classes, Keith worked at a local Dodge dealership after school as a part-time job. After attending Western Carolina University in Cullowhee, he moved to Charlotte, NC and worked at a Chrysler dealership. He then moved back to Raleigh and started working at a local muffler shop where he developed a passion for repairing cars. He opened USA Muffler in 1986 and later changed the name to USA Automotive when they became a full-service auto repair shop. Keith is married and enjoys spending time with his family and friends. He enjoys most outdoor activities, including fishing, skiing, motorcycles, hunting, boating, and cycling. 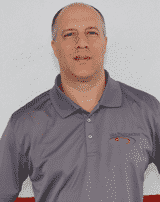 Aaron has worked at USA Automotive for over 25 years, and he has worked in the automotive industry for more than 28 years. He is an ASE certified automotive technician, licensed NC Auto State Inspector, and an ASE certified service advisor. Aaron is married with two young boys. He was born and raised in western New York. Aaron moved to NC on 1992 and lives in Zebulon. He enjoys computer technology, electronics, motorcycle and bicycle riding, camping and hiking, and recreational shooting. 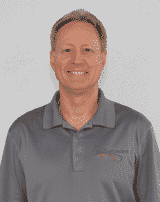 Cliff has worked in the automotive field for over 31 years and is an ASE Certified Service Advisor. 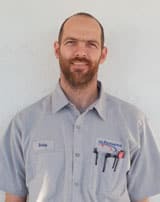 Cliff is also very knowledgeable when it comes to the correct tires for your vehicle, he has had special training from several tire manufactures. He is originally from New Jersey. Cliff is married with 2 sons and 1 daughter. In his spare time, Cliff likes gardening, tinkering with odd things, and spending time with his family. 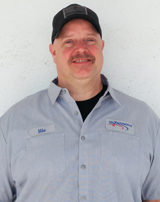 Mike is a Master Certified BMW and Mini Cooper Technician for over 13 years who has relocated to the Raleigh from Scottsdale, AZ. 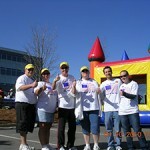 He also holds L1 Master ASE certifications, as well as certifications in Ford and GM. Mike has also had extensive hybrid vehicle training. 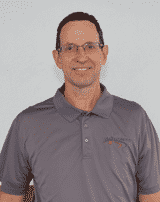 Mike has over 31 years as a professional technician. 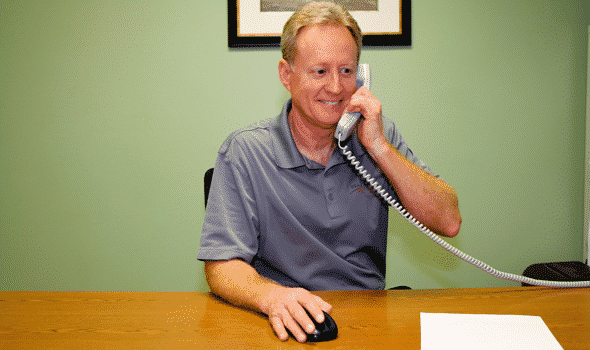 He is an avid car enthusiast and takes pride in staying up to date on the latest technology. He is a member of the local Mustang club. Mike is married, has two children, and lives in Raleigh. He is very active in his community and volunteers for his local fire department. Mike enjoys perfecting his cooking techniques, entering cook-offs, outdoor sports, and maintaining his yard and garden. Allison has had many years of experience as an Office Manager. 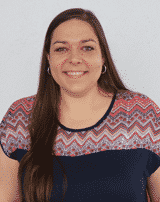 Allison earned her Associates in Accounting in 2017 and works in the back office at USA Automotive handling all the accounting aspects for the business, customer appointments, billing, inventory, bookkeeping, and advertising. Allison lives in Zebulon with her dog and two cats. In her free time, she enjoys spending time with her family and nieces, reading, watching tv shows, gardening, camping, fishing, and a variety of outdoor activities. Hey! I’m Bobby and I am 35 years old. Cars have been a passion of mine my whole life. I have been an Automotive Technician for 15+ years and still love what I do! I also enjoy detailing cars, so they always look their best, playing sports including softball, outdoors activities like hunting and fishing, and generally anything that has to do with cars!